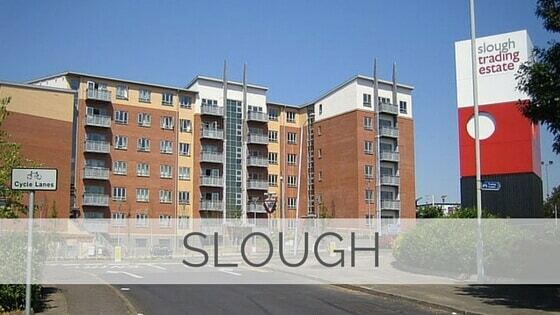 Slough is a large town in Berkshire, England, about 20 miles (30 kilometres) west of central London. It is bisected by the A4 and the Great Western Main Line. In 2011, Slough's population of 140,200 was the most ethnically diverse in the United Kingdom outside London, with the highest proportion of religious adherents in England. Historically part of Buckinghamshire, Slough is home to the Slough Trading Estate, the largest industrial estate in single private ownership in Europe.